The Asus ZenBook Flip UX461UA E1077T 14inch 2 in 1 Laptop has a powerful processor and a user-friendly interface, making it a great solution for multitasking and staying productive even when you’re on the go. With a 256GB SSD, the ZenBook Flip laptop allows fast program execution with reduced operating noise while providing sufficient space for storing programs, documents, files, and more. Operating on Windows 10, this 14inch 2 in 1 laptop offers improved security, access to Microsoft Edge, a personal voice assistant, Cortana, and more. 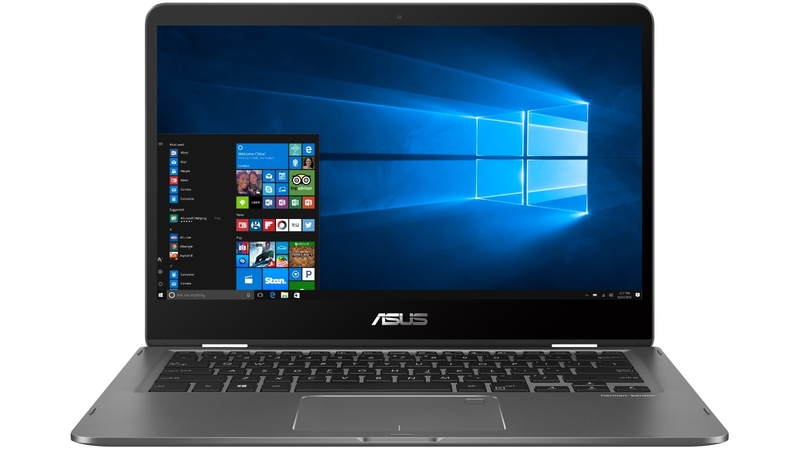 This Asus ZenBook Flip 14inch laptop has a USB 3.1 Type C and two USB 3.0 ports for transferring files quickly. It also has an HDMI port, so you can easily connect it to a compatible external display device.